During this trying time for you and/or your family and friends the thought of handling a Probate Estate is sometimes overwhelming, confusing and sometimes even frustrating. While we can assist with the navigation of any real property in the estate we pride ourselves on being a one stop RESOURCE to you. We are here to help and prayerfully ease some of the heavy weight that comes from this process. Your Elite Property Pro handles many aspects of this process so you don’t have to. Whether it’s hands on or a call to the right person to handle the concern, we’ve got you covered. Let us help you breath a little easier. Take a look at the frequently asked questions below along with the courthouse information and some common probate forms for your reference. When the time is right for you we’d love to hear from you. Feel free to call anytime and put our Five Star Service to work for you. Please click the link below to the question that best suits your topic. 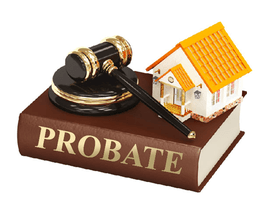 How does a probate case get started?